As part of our growth and development, we are revising and updating our investing philosophy to be more aligned and congruent with the new management in place. While the philosophy is not totally different, there is a difference and I believe that it is better that we communicate our philosophy more accurately. This will be disseminated and communicated before the end of October 2018, and we will be organising an investor’s briefing in the first half of October. Jinliang will be sending out more information shortly. In stock picking, it is almost impossible to always pick the top winning stocks. However, it is possible to increase our probability of picking the winners by sticking with solid fundamentals, and together with a sound portfolio allocation strategy, to achieve good long-term investment returns in listed businesses. It is also important that we are reasonable when paying for these businesses. For listed companies, it is also crucial that we take care of the liquidity of the shares in the market. As a fund, while we are not adverse to investing in relatively illiquid stocks, the liquidity should be at a level that we are able to exit reasonably (even after a discount). Also, the illiquid stocks will only comprise a relatively small portion of the portfolio so that it doesn’t severely affect the overall liquidity of the fund. The implication of poor liquidity of the stocks means that with sufficient capital, one can move the share price upwards when buying and move the share price downwards when selling. Some market operators may take the opportunity to do share price manipulation to their advantage. Investors may find it hard to exit until many years later to do an exit. While it is not impossible that the company’s stock become liquid over time, it is crucial to take that into consideration when managing a fund or a portfolio. Carrying on from where we left off from our India visit, Richard will be sharing more details about a listed company (we shall call it Company V) and despite being given an initial good impression, our assessment of the company produced more questions than answers the deeper we analysed; and in the end, it was only when we “touched the bricks” that we came to a conclusion about the company. Unfortunately, we are not able to provide explicit details as the company V is still listed and apparently operating. Last but not least, for those concerned about the trade war between China and USA, and the constant bombardment of macro news and events: we are of the view that despite all these, one should continue to invest and be invested in the markets. With sufficient time given, I believe that human civilization will become more and more prosperous and to live a better life. Human society will improve our capacity and capability to solve more complex problems and with that, the markets will trend upwards in alignment with the improvement in human’s economic development. 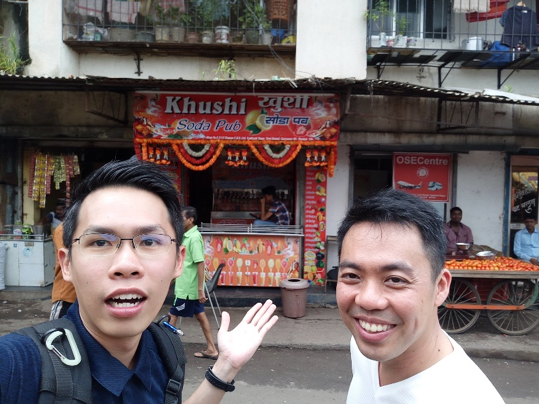 As mentioned in the newsletter last month, Clive and I made a trip down to The City of Dreams, Mumbai. Apart from visiting one of our holdings, Emmbi Industries, we took the opportunity to scuttlebutt and investigate on few other listed companies; and I will be sharing a more in-depth look on one of them in this newsletter. In Hidden Champions Capital Management, we have a system and process to track and monitor businesses that will alert us when potential opportunities arise. Back in March 2018, such an opportunity came about when the share price of a business had plummeted due to bad publicity of the company. 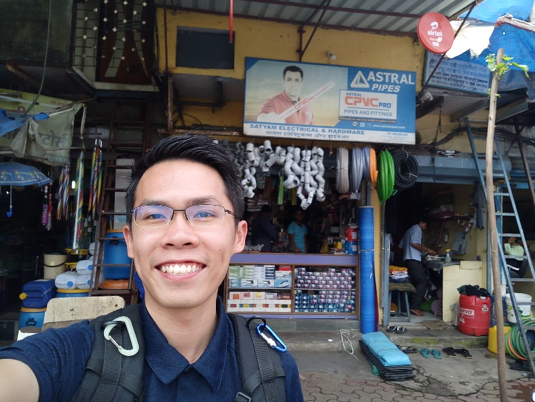 We shall name this company V.
Once we came to know about this opportunity, the team decided to do a quick fact-finding of the issues resulting in the decline of share price, and to ascertain if this was due to a temporary or permanent impact to the business fundamentals. Among the various questions raised, one of them is the validity of the number of outlets that they had. We decided to break down the numbers to see if the number of outlets disclosed even made sense. From the annual report, Company V outlets grew from approximately 12,000 to 35,000 in a space of just two years. Should we divide it by 365 to find out the number of stores opened per day, Company V opened 12 and 26 outlets each day for FY16 and FY17 respectively throughout the whole of India. Does this number even make sense if a company wants to grow sustainably? 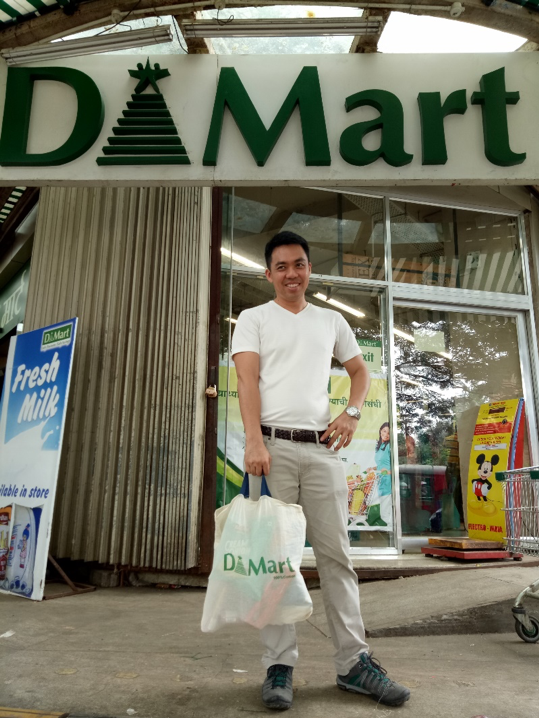 This raised a few flags, as from my limited knowledge, not even the World number one convenience store in terms of outlets (7-Eleven Inc), managed to do that during their high growth years! Secondly, we approached the case by inductive reasoning. We compared the outlets to the convenience stores in Japan. These convenience stores are known as konbini, and the industry is dominated by 3 major operators, Seven Eleven, Family Mart and Lawson. The stores can be found everywhere in Japan and is visibly noticeable to consumers. Our internal estimate suggests that V has about 623 outlets in Mumbai itself, compared to 6,823 convenience stores in Tokyo. The land area of Mumbai is approximately one-third that of Tokyo. 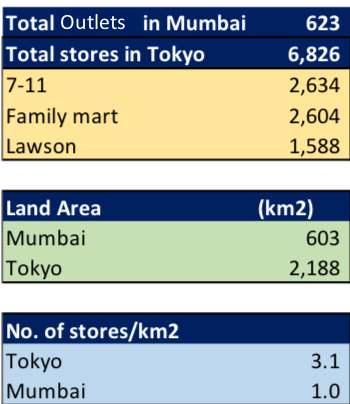 When we divide the number of stores with the land area, there should be 3.1 such convenience stores for each square km in Tokyo, while approximately 1 outlet for each square km in Mumbai. 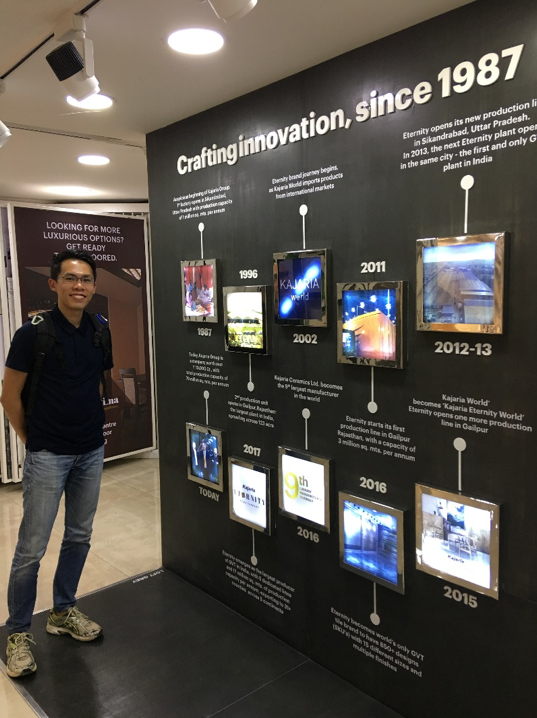 Though the number shows that the outlets will be one-third that in Tokyo, it is sufficient to suggest that these outlets should be reasonably visible and well-known to the locals in Mumbai. With that in mind, we reached out to our network who are locals in Mumbai and ask them if they have seen or use the services of such outlets. Unfortunately, none of them gave a positive reply. We took these answers with a pinch of salt as the handful of people who responded does not represent the entire population. After discovering these information, we were not comfortable with the company as we were uncomfortable with the responses. Therefore, we held off taking a stake in the company until we had a chance to verify things personally. This chance presented itself when we visited India last month, and we were excited to evaluate the accuracy of our hypothesis. 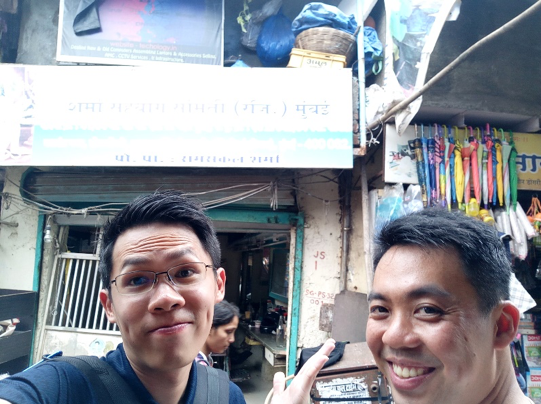 We randomly picked 3 outlets listed on Google Maps, and went on a hunt for them in the city of Mumbai. 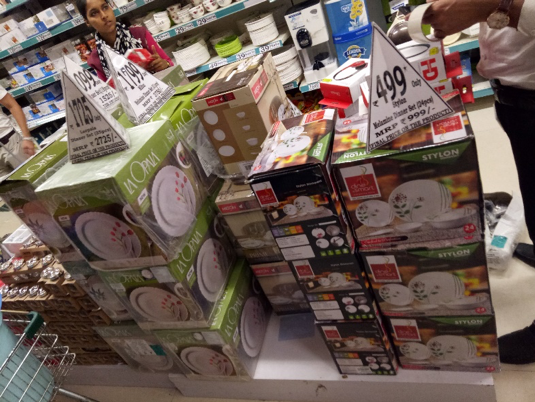 In the end, we may have “bad” navigating skills as we found none despite hunting for them at those locations, discovering many different stores in its place. As an investor, we should behave like a detective and gather evidence and facts for the case. A detective’s duty includes interviewing potential suspects and witnesses, examining records, making deductions and going to the ground to verify certain hypothesis. Similarly, an investor should enquire users of the product/service for their experience, examine annual reports/news articles to gather facts, and even go to the ground to scuttlebutt. By observing the methods and the mental habits of the great detectives, I am sure you will be able to come up with intelligent investment techniques to analyse a company. With this, it concludes our short yet fruitful trip to India and I hope that you have enjoyed reading about our adventures. Some other companies that we “scuttlebutted”. Do you recognize any of them? By the time we finished scuttlebutting, it was already 3pm and we were really hungry! We pondered whether to have our lunch back at our hotel, but it was an hour’s ride away. Hence, we decided to have our lunch nearby before returning to our hotel. Clive googled for a shopping mall nearby for lunch, and came across a place called “Milan Shopping Mall”. He looked through the reviews and there were more than a thousand reviews for this Milan Shopping Mall, and seemed impressive as compared to others, which only had a few hundred. 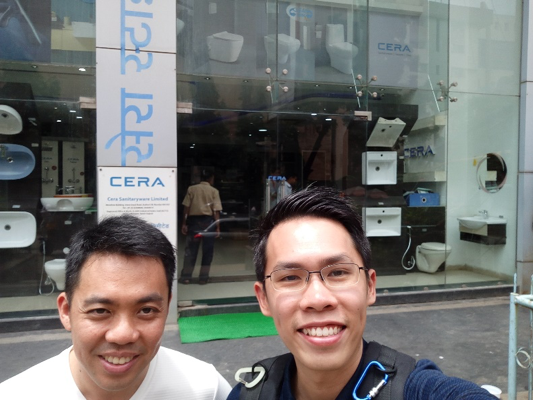 He concluded that we could not go wrong with so many positive reviews and suggested to head there for lunch, which is only 15 minutes away. As we were approaching our destination, I sensed that something is not right. Upon arrival, to our amusement, Milan shopping centre is nothing more than a textile market (as shown in the picture below behind us)!!! WE WERE TOTALLY STUNNED, as the name “MILAN” gave us a certain impression and misled us! We hope that you have enjoyed our special “India” scuttlebutt edition of the newsletter. Where it makes sense and adds value, we would rather share more real life stories other than an academic or behind the computer screen assessment. Many theories can be expounded and shared but ultimately, the proof is in how the theories work out in reality.